Loan amount: Property loan rates in Standard Chartered depends upon the loan amount you apply for. You can get minimum loan of Rs. 10 Lakh from Standard Chartered. Type of loan opted for: Standard Chartered also offers differential rates for different profile of customers and also fixed and floating rate schemes. Loan against property interest rates may be higher or lower for special loan product. Your profession: Standard Chartered may charge a higher interest rate on a mortgage loan by a salaried as compared to a self-employed professional or a businessman. A self employed professional or businessman is expected to deploy loan proceeds for productive purposes in his occupation or business compared to salaried who will most likely take a mortgage loan for his personal purposes. Age: Age is one of the important factors to examine your eligibility. Standard Chartered Bank offers loan to salaried and self employed at the age of 21 years. Any person taking loan at the age of 25, can get loan of up to 15 years, thus reducing servicing burden on his existing income and hence, improving his loan amount eligibility. Business Stability: Self employed person should be in business for a minimum of 0 years during which the business should be profitable. Standard Chartered Bank will ask for ITRs of 0 years to consider you as eligible for LAP. CIBIL Score: Past CIBIL history and repayment record of existing loans and credit cards has adverse impact on your loan eligibility. If you have a poor repayment record, then you may find it difficult to get a loan. A regular repayment record not only improves your chances of getting a loan, but also increases your loan eligibility. Standard Chartered Bank grants loan to borrowers with a CIBIL score of 650 and above. Loan Amount: Standard Chartered Bank gives you an amount ranging from Rs. 10 Lakh to Rs. 5 Cr. To improve chances of approval, apply for a loan amount that you can comfortably service. Property Value: The value of the property to be mortgaged is used to calculate maximum loan eligibility based on the maximum permissible LTV ratio which can range upto 70% depending on the type of property. Standard Chartered Bank will conduct a detailed property assessment to establish that all legal titles are in place, assess the market value of the property, and its sale ability. LTV is calculated based on the estimated fair market value or registered value, whichever is lower. Fixed Obligations to Income Ratio (FOIR): The bank will also calculate the proportion of your fixed obligations to your income to calculate the Fixed Obligations to Income Ratio, known as FOIR. Fixed obligations include estimated average monthly expenses and EMIs you are paying on other existing loans. Minimum FOIR to be eligible for a Standard Chartered Bank mortgage loan is 0.65. Standard Chartered Bank Property loan Eligibility is the amount of loan you can avail based on an assessment of your repayment capacity as well as the value of property. You can use eligibility calculator to get a fairly accurate estimate of your potential eligibility subject to the information provided by you. EMI calculator of Standard Chartered Bank helps you to calculate your monthly EMI at different rate of interest and also check and compare lowest EMI per lakh on LAP. What are the benefits of calculating Standard Chartered Bank Mortgage loan EMI? Foreclosure Charges - These charges are to be paid in case you want to repay your entire loan amount before the end of tenure period. Standard Chartered Bank allows prepayment of loan against property with Individual Borrower- Nil, Others- 4% of Outstanding balance prepayment charges. Processing Fee - Standard Chartered Bank charges a processing fee of 1.00% loan amount. Standard Chartered Bank offers mortgage loan balance transfer from another bank. This is subject to your meeting other eligibility criteria of Standard Chartered Bank. You can avail additional top-up loan against property from Standard Chartered Bank, subject to your eligibility. What is Standard Chartered Bank's loan against property interest rate? Standard Chartered Bank offers loan against property at rate of 10.10% with the lowest EMI of Rs. 1,081. If you are currently paying higher interest rate than Standard Chartered Bank rate, you can opt for balance transfer of loan to Standard Chartered Bank. What is the maximum loan tenure I can opt under Standard Chartered Bank Property loan? Standard Chartered Bank offers you a longer tenure of 15 years to repay your loan with a benefit of paying less EMI per month. The benchmark rate applicable for property loan in Standard Chartered Bank is 3 Month MCLR. Do I get tax benefit on Loan against property from Standard Chartered Bank? Can I transfer my LAP from another bank to Standard Chartered Bank? Yes, Bank gives you the facility to transfer your existing loan with a hassle free process. Loan balance transfer to Standard Chartered Bank offers you to pay lower EMIs and save money. How to increase my eligibility on Standard Chartered Bank Mortgage loan? How will interest rate on Standard Chartered Bank LAP change in future? What is Standard Chartered Bank mortgage loan processing fees? What is Standard Chartered Bank property loan procedure? 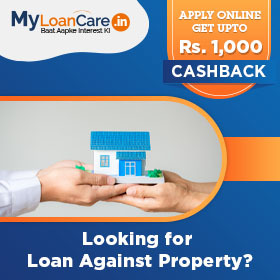 You can apply for a Standard Chartered Bank property loan by contacting the bank directly or by approaching them through online marketplaces like myloancare.in. Approaching the bank through an online market place improves the chances of getting best loan rates, low processing fees and special offers in the form of cash backs. Once you approach the bank, they will collect your documents and initiate the loan process which includes checking your CIBIL score, property valuation, technical and legal checks on property, eligibility calculation. The bank will give a decision on your loan based on the evaluation results. Standard Chartered Bank requires registered mortgage of the property against which the bank will provide you loan. What are the five things to check before applying for loan against property in Standard Chartered Bank ? Are prepayment or foreclosure charges applicable on Standard Chartered Bank loan against property? Standard Chartered Bank has increased its floating Interest Rate on Loan Against Property (LAP) by 60 basis points. The new rate for Loan Against Property (LAP) is now 10.10%, which was 9.50% earlier. These rates are effective from November 9, 2018. There is no change in the processing fees. Standard Chartered Bank has increased its MCLR for the month of August by upto 10 basis points. The rates continue to be in the range of 7.70% to 9.50%. Six month MCLR is now at 8.90% and that of one year is 9.15%, a hike of 10 basis points. The rates are effective from August 7, 2018. Standard Chartered Bank India plans to grow its retail loan portfolio to 40% of total loans, up from 29%. The company, however, will offer the same products, ie, mortgage loans, personal loans, credit cards and business banking, thus not deviating because of the good experience on the credit quality front in retail. Standard Chartered Bank has reduced its interest rate on loan against property by 1.25 percent. The revised LAP rate now stands at 9.5 percent as compared to 10.75 percent earlier. The new rate is effective from 8th January, 2017.